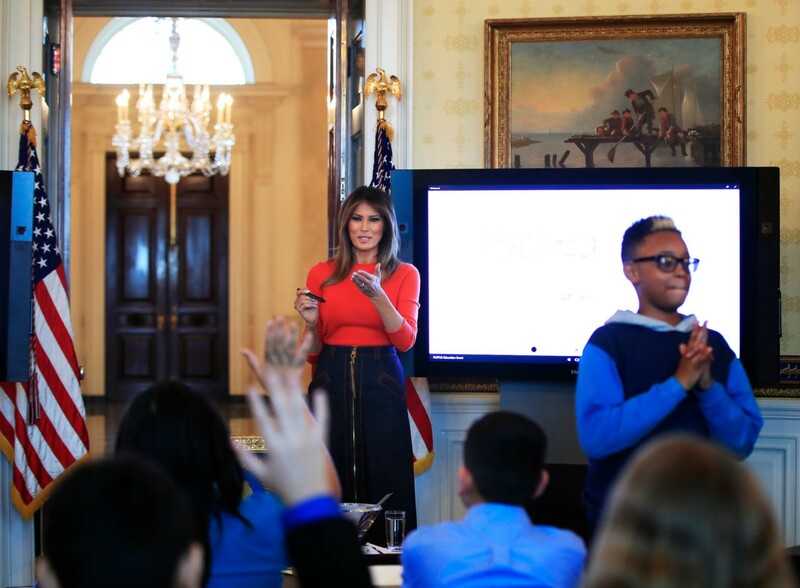 First Lady Melania Trump met with schoolchildren at the White House this week, wearing a groovy ensemble that hark back to the 1970’s. 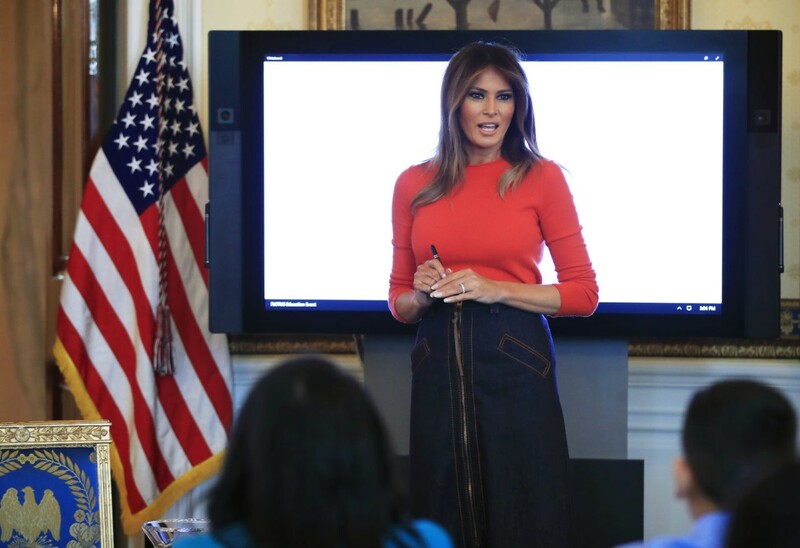 Mrs. Trump wore a sold-out wool denim midi skirt by the Italian luxury brand Agnona and a tomato-toned cashmere sweater by Ralph Lauren, which retails for $245. 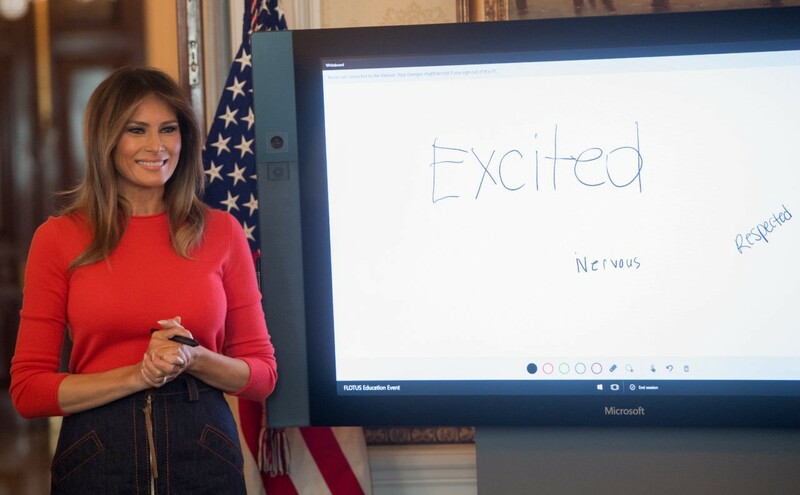 A pair of pointed pumps matched Mrs. Trump’s sweater. This is not the first time Mrs. Trump has been inspired by the decade of free love. When Mrs. Trump and son Barron first moved into the White House last year, she stunned the world in a creme sleeveless top tucked into a pair of camel wide leg pants and a matching Hermès Birkin bag.